Premier Decorations LED Treebrights light set features 500 warm white and white LED's with multi-function control box and memory combination. 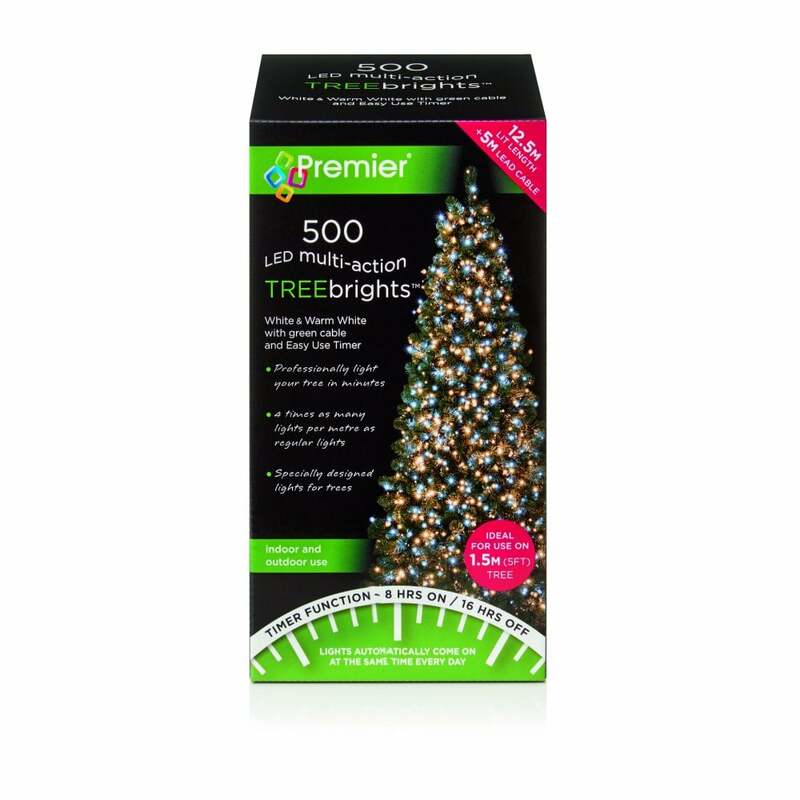 The product code for this Premier Decorations LED treebright light set is LV178517WWW. Also available in red & green, multi-coloured, vintage gold, bright white and warm white all of which can be purchased from our website.